A little crazy, but oddly delicious. The perfect mix of sweet and salty. 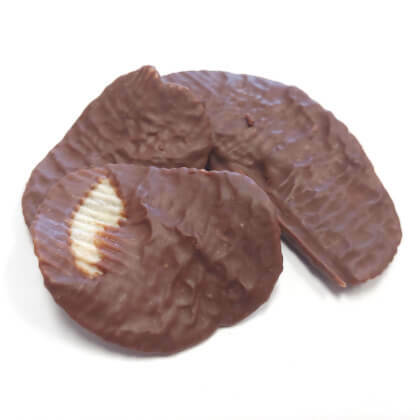 Rippled potato chips smothered in gourmet milk chocolate. Pearls .5 lb box.